We hope everyone out there survived the ice over this past weekend with minimal damage, and you are staying warm in this unusually cold weather. 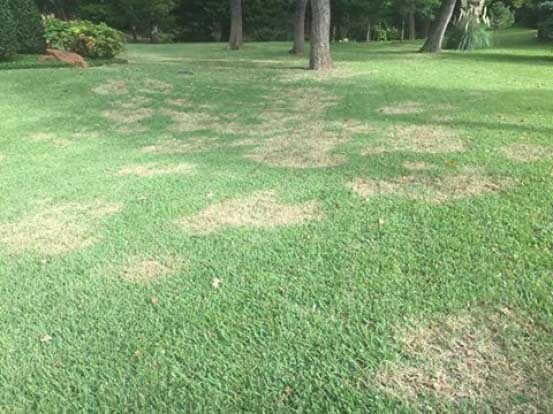 As the weather warms back up, you’ll once again begin to see a variety of weeds in your turf, especially in lawns that were stressed before the storm and then further stressed now that it has passed. Crabgrass is a common weed in our Dallas lawns. Crabgrass grows very close to the ground in a spidery, clumping manner. The stems extend out much like the legs of a crab, and is a lighter green than your typical lawn color. Crabgrass begins from seed dropped from the previous spring and summer. Crabgrass germinates when soil temperatures reach 55°F, so it can germinate in the fall and early spring. You'll usually notice crabgrass in February or March. Crabgrass grows well in weakened lawns and will further weaken the turf around it. Sunny locations in weakened condition with sandier soil are prime for crabrass infestation. Areas damaged by insects, disease or along sidewalks and driveways are places that can easily be be overcome by crabgrass. Want to deter crabgrass from growing in your lawn? Keep grass strong and soil healthy. Keep lawns mowed higher as it will shade out the seeds and keep them from germinating in the first place. Keeping everything watered properly throughout the year also deters this aggressive weed. When soil is watered properly, healthy grass will grow ahead of crabgrass. Our liquid compost extract is a great way to keep soil healthy! Organic spot control products can also be used to treat crabgrass. If you've had a heavy infestation of crabgrass, apply a pre-emergent in the fall is a good way to cut down on this invasive weed. So, when is a good time to prevent most weeds? Now! By keeping turf and soil healthy year-round, you’ll be preventing unwanted weeds and pests. For further info on keeping a natural, eco-friendly landscape, give us a call.